Hulk vs Thing Rap Battle! Click the image above – and enjoy! Also, if anyone knows where I can get this comic – please help! I think I could put comic readers on par with the most of the historians out there. Every week we burn through a stack of books – some of us geeks tackle an easy 15-30 titles a month. Each of them somehow, in some way, connecting to each other. When asked about certain events we pull out tid-bits of knowledge that would make any comic writer’s jaw drop (especially Loeb who is notorious at this point for ignoring Marvel continuity). So let’s be in awe of ourselves here for a moment as we delve into the newest (and some over due) titles that I’ve been reading. 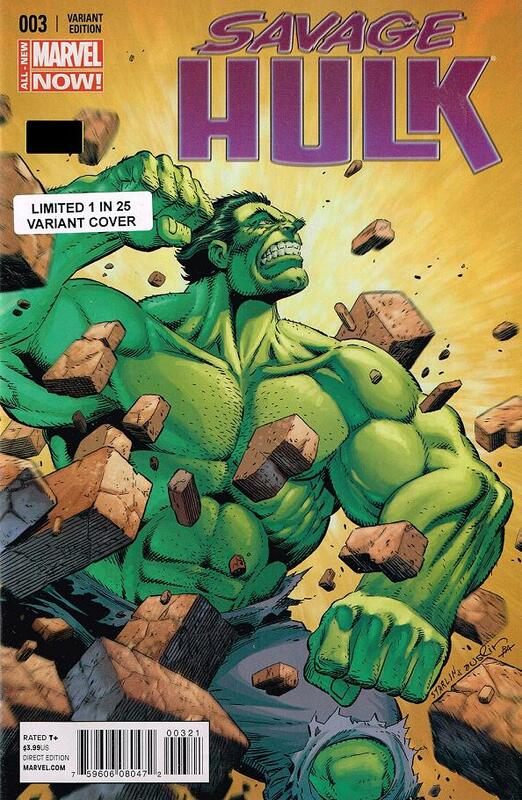 This second monthly title has brought back the classic Hulk that most of the purists love and pretty much all of the non-comic readers know. The child-like, angry “Hulk Smash” Hulk. 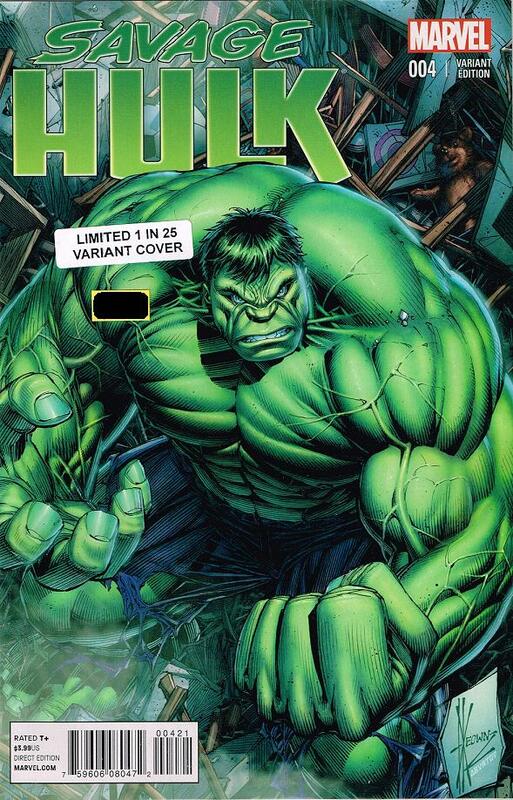 While it’s good to have a title to read that celebrates the most revered Hulk incarnations and actually uses his time-honored rouges gallery. First, the Abomination (the REAL Abomination) had a slug fest while also battling the X-Men in issue #2. Then, the real enemy waiting in the wings, the Leader came out while Professor X and Banner were caught in Banner’s subconscious in issue #3. Issue #4 begins with the Leader having quickly subdued and neutralized the X-Men and strapped Banner to his device that is slowly draining the gamma power out of him. 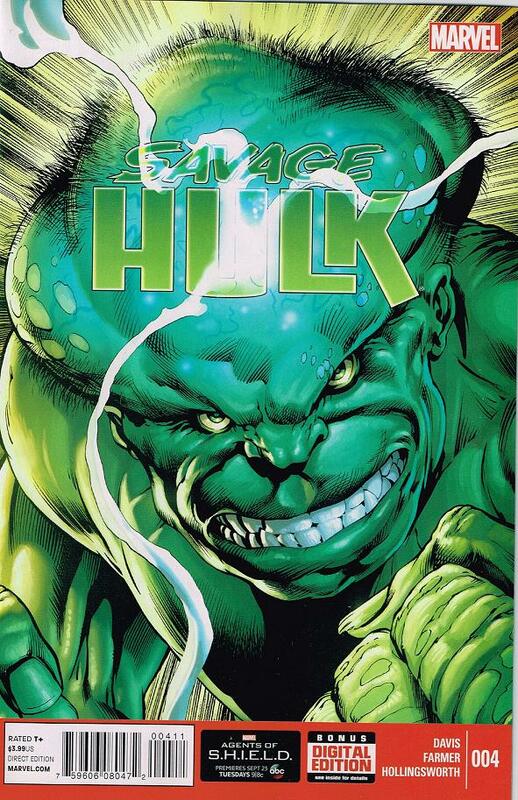 The great thing about a second series is being able to tell Savage Hulk type stories without sacrificing the evolution of the Hulk we have in the main title. To just turn Hulk back into a mindless engine of destruction without any real reason to do so (much like Loeb did)* is like taking a step backwards. Here Davis has taken a classic issue and just expanded on the ideas that were already present. Sort of a Director’s Cut of the Hulk guest spot in X-Men. True to classic Silver-Age storytelling too – it turns out the battle between the Leader and the Hulk will have to wait for another issue – as it was never the Leader’s body there in the first place and another Hulk cure is lost to destruction. Nothing compares to seeing a great Leader story with the Humanoids in tow taking on the Green Goliath and the reluctant passengers on his wild ride. Even better is that Davis was able to tell a 4 issue story arc without changing the outcome of the original tale. *I only fit two Loeb burns in there – I must be getting soft! Next up is the follow up issue to Gerry Duggan’s bang-up of a premiere issue which introduced us to the latest Hulk incarnation “Doc Green”. A savage and brilliant type who is hell bent on destroying the Hulk Family. A ill conceived brain child from the head of Marvel thinking it would be a blast to see a whole bunch of Hulk’s running around. Sticking his most over-hyped writer on the case they set out to destroy the simple but ingenious rules of the Gamma-Powered creatures that roamed the Marvel U. Simple because it was pretty much one rule… gamma radiation effects everyone differently. That’s why the Leader was made incredibly smart and the Abomination was turned into a reptilian monstrosity. But in a span of just a couple years they threw the folk-lore aside and we had not two, three, or even four – but six new new Hulks offered to us. Duggan, in what seemed to be screaming out for other writers to do, decided to answer all the prayers of the Gammabros and is out to destroy the Hulk family. *sigh of relief* In issue #6 he begins with the easiest target – a reluctant Rick Jones. Of course, A-Bomb (a terrible name that will hopefully stay dead) is no match for the brute strength of the Hulk and is pretty easily dispatched. After the cure is injected Jones seems a bit ruffled but Doc Green assures him that he was doing this for Rick’s best interest. Rick was cursed – not handed a gamma-powered gift. 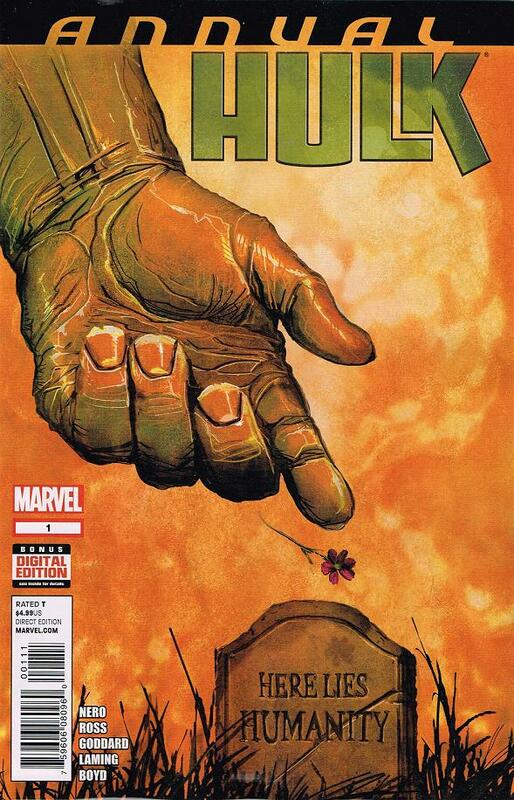 We also get a quick and hilarious scene where the Hulk seems to have given his notice to SHIELD – or at least let them know he is not on their agenda any more – and in the same breath teaches MODOK a lesson about messing with the Jade Giant and any of his loved ones. I am curious though, while I would love to think that they will “cure” the whole lot of Gamma-Powered beasts, as they did with A-Bomb, I don’t see this being an easy task. Sure, Betty can be reverted back – that’s an easy target. Red She Hulk has topped out the charts of asinine creations on a mountain of already bad-ideas. 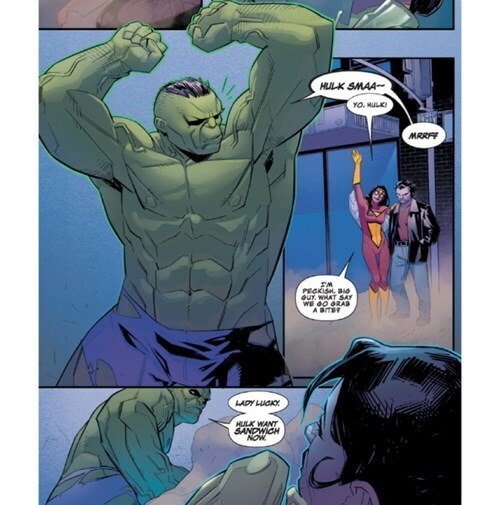 She really serves no purpose as her title was cancelled – proving that even a skilled writer like Jeff Parker can’t polish a turd – and she has no real use in the MU with another, better She-Hulk already running around. Red Hulk himself… well, actually let’s save him for last. The real trouble begins with Skaar and Lyra – these two were not created by MODOK and the Leader – they were BORN from Hulk DNA. What would they revert to? I’m sure Duggan has something up his sleeve – but for the life of me I can’t see what he could possibly do. They weren’t human to begin with. Is Thundra going to stand by and let the Hulk de-power their love child? How would that even all work? They are certainly on the list – but to what end I am not sure. Hiro, of course, is not even a factor as he is still somewhere in space hopefully never to be heard from again. Now the real red herring… or Red Hulk as it may be. I have gone on record as to saying that the idea for a Red Hulk was not bad – the execution is what destroyed what could have been a great story (damn you, Loeb). While the Red Hulk has certainly shown unable to hold a title – or even a team book (which was still a great read – until Soule left) he has still been pretty much imbued into the MU. He’s been an Avenger for goodness sake! 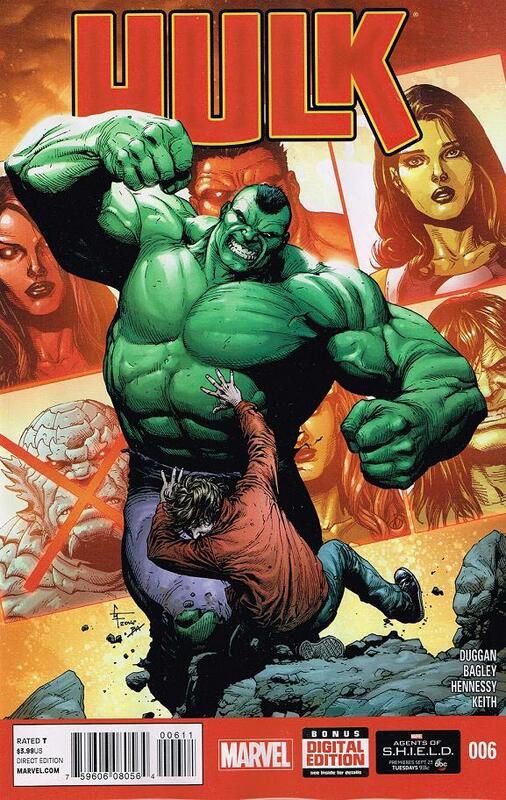 As much as I would love to see the Red Hulk erased… I just don’t see it happening. We are made aware that Ross knows what Doc Green is up to though, and he is not going to wait around for his “turn”. Should be interesting. Man, it was a good week to be a Hulk fan this week! The Indestructible Hulk Annual last year found Stark and Banner teaming up to take down an old professor who, for the lack of a better term, turned himself into a living island. Following that tale we get another dose of a living plant taking over the every inhabitant of a small city. This time it’s the Hulk’s employee, Patty Wolman, a dying, crazy woman who is infesting the plants, animals and people with a self made plant artificial intelligence named Vista she tested on herself. 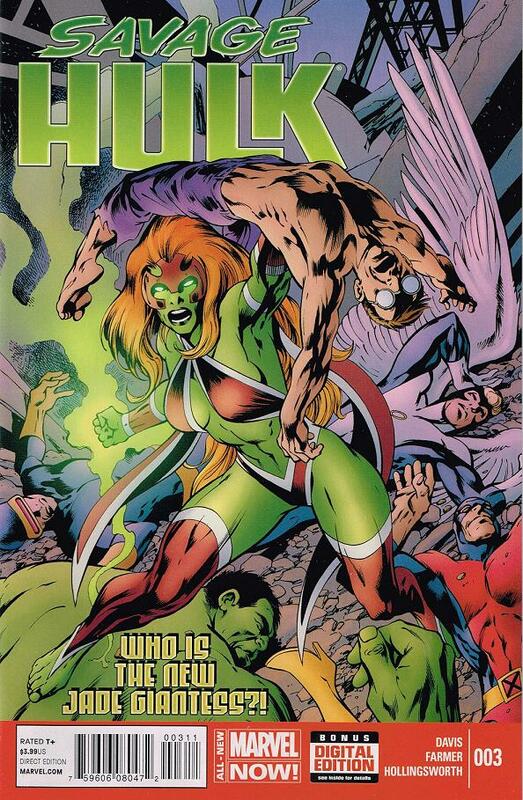 With Zadian’s research and her brains and desperation – with a little help from Hulk DNA captured when Banner and Stark ate the fruit on Zadian’s island – the bio-virus grows and heals at a rapid rate. Of course this would be an issue for any other hero – but not Doc Green who distracts Wolman long enough to get a gamma-pesticide ready. He saves the city – but does he rid the world of Vista completely? Read it and find out yourself! The Way to Hulk’s Heart is Through His Stomach! I am psyched about this new direction the Hulk book is taking – and looking forward to the upcoming issues! 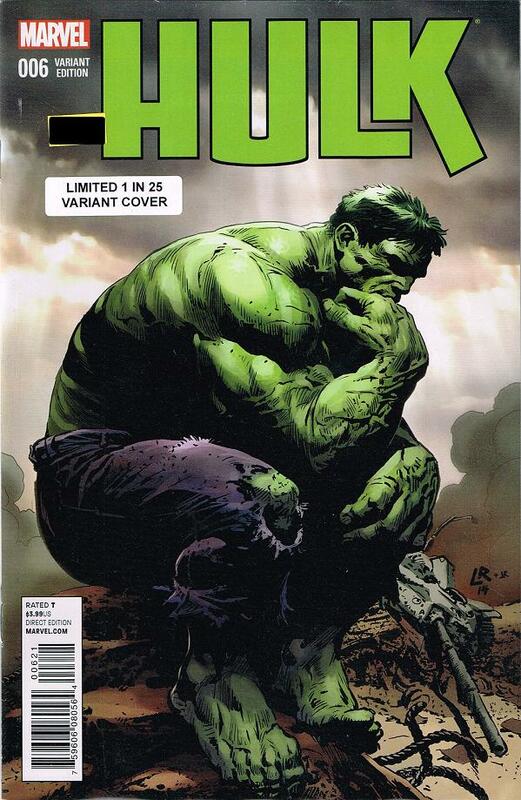 Click the image for a great interview with the new Hulk writer!